So hey guys! 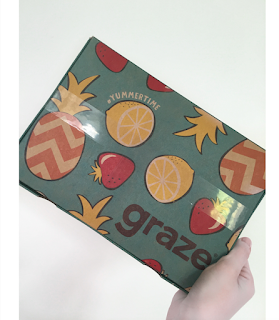 I have been wanting to try a graze box for awhile and I though why not write a review/ first impressions thing on it! 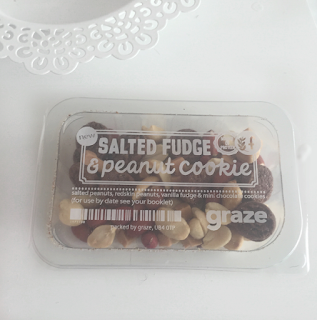 So finally I get around to getting a graze box and I cannot wait to try it and share my thoughts with you guys on it! So let's get started with my box! in my box I received Graze's popping corn in lightly salted, salted fudge and peanut cookie, the British barbeque and the honeycomb flapjack. I'm so excited to try everything and share my impressions of what I think of all the snacks! To start with I have already tried the salted fudge and peanut cookies before I got them in this box and every time I go to boots I buy it because it's delicious! 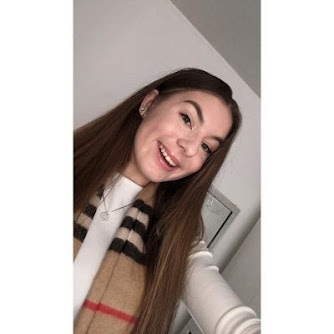 Gabbie (AKA velvetgh0st) raved about it in her Vlog (I think it was her at least) so i decided to try it out! I am not usually a person who eats nuts but I love the peanuts and redskin peanuts in this and with the fudge an0d cookies, it all goes so well together and it is so amazing!! I would recommend it to anyone because it's one of my favourite snacks! 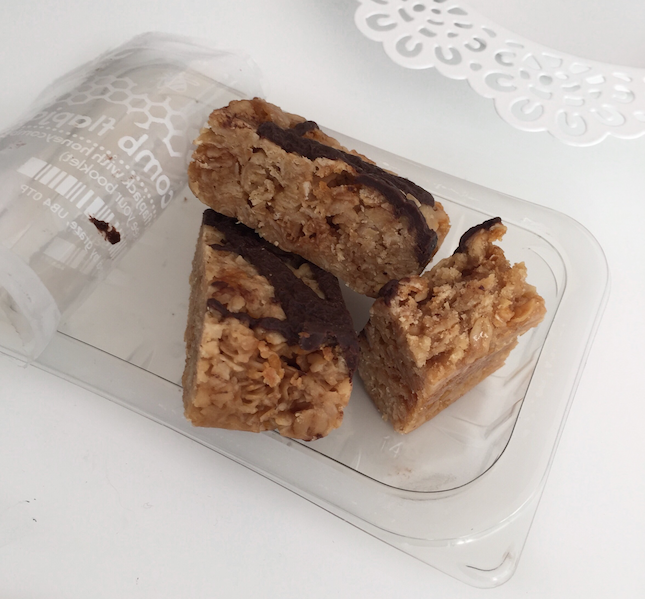 Next, I got the honeycomb flapjack and I cannot wait to try this because I love flapjacks! It was so good! The flapjack had the best honey and sweet taste and the chocolate just topped it off! It tastes literally so amazing because it's sweet and not sickly sweet! If anyone likes flapjacks I would definitely recommend trying this! As well there is some popcorn in my box in 'lightly salted' and this is some of the best popcorn I've eaten! It quite reminds me of my favourite popcorn, propercorn lightly sea salted. It's not too salty but not salty at all. 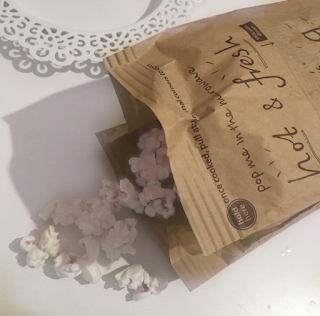 The bag is actually bigger then I though and has quite a lot of popcorn in it compared to what I expected. This is honestly something I would recommend to anyone who likes salted popcorn because it's just perfect! 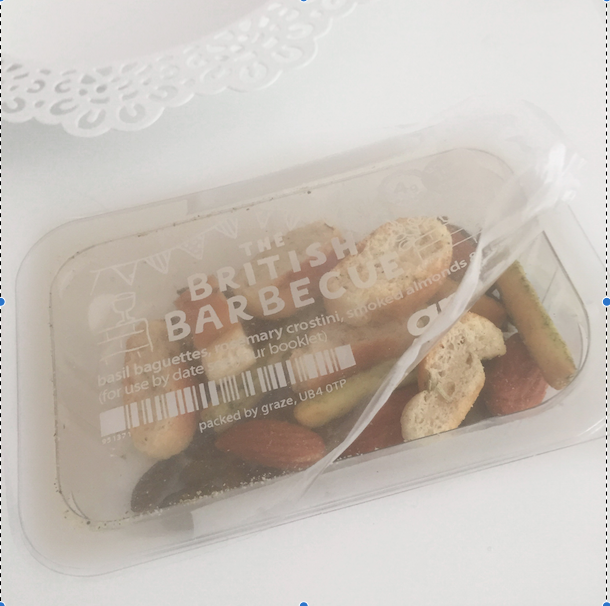 Finally, I got 'The British barbeque'! I wasn't sure if I could like this because I haven't tried anything from it but I had to say I didn't like it too much. I'm not a fan of moving out of my comfort zone with eating as I mentioned earlier but personally I didn't like the Basil baguettes but i quite liked the Rosemary crostini. I didn't like the seeds but the smoked almonds were nice! Overall I wouldn't get it again because I didn't like half of it. So I hope you guys like my review type thing on my box! 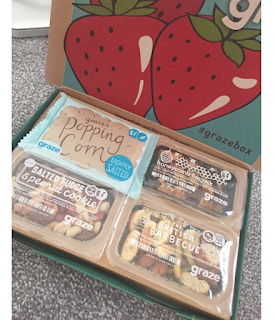 I hope this helped you and you would consider getting a graze box now because I recommend them so much!